Looking for a high-quality apartment? If yes, than this brand-new 90m� superior apartment may be the right one for you. 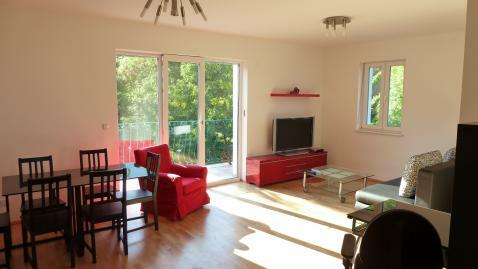 Located in Vienna's finest residential district D�bling between Danube river and vineyards. It offers fast connection to city center (only 20 minutes by public transport) and many extras like free Internet, big Sony LCD-TV, separate entrance for you only (=very safe), floor-heating, 2 terraces with nice views and much more. For long-term booking we offer special prices. Please get in contact!